In 1972 Justin Green released a comic-book drawing upon his childhood traumas and experiences involving his Catholic upbringing and a condition he would later recognise as obsessive-compulsive disorder. 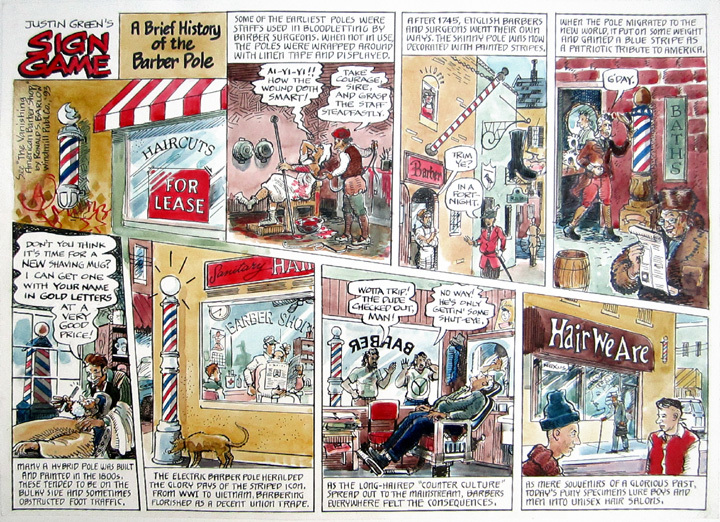 Already a highly regarded underground cartoonist, “Binky Brown Meets The Holy Virgin Mary” would earn Green considerable acclaim as a pioneer of the autobiographical comic-book genre, proving influential to such names as Robert Crumb and Art Spiegelman (whose Pulitzer-Prize winning “Maus”, is said to have been inspired greatly by Green’s seminal book). 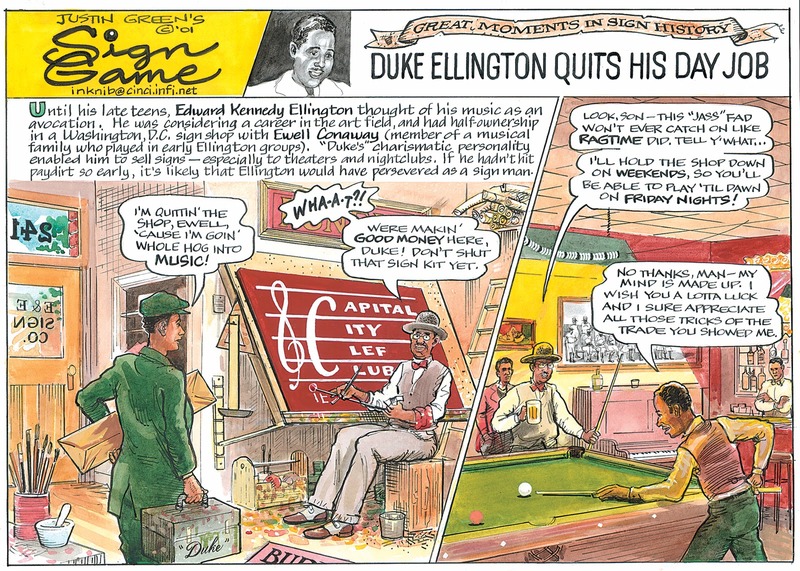 Throughout the eighties, to supplement income and support his family, Green worked as a sign painter in Cincinnati and would later mine these experiences for “Justin Green’s Sign Game”, a periodical comic-strip published in a U.S. sign magazine that depicted, with humour and honesty, life in the sign business from the mundane to the unexpected, the trivial to the historical. He is also featured in the “Sign Painters” book by Faithe Levine and Sam Macon, which was featured a couple of posts back. And I found a link to an interview which, although doesn’t feature much on his sign work, does share his thoughts on art, O.C.D., surrealism etc. Well worth a look. Here. This entry was posted in Art, Books, Illustration, Signwriting and tagged Binky Brown Meets The Holy Virgin Mary, Justin Green, Signpainting by Lee Jones. Bookmark the permalink.